Whether you are passing through town or live in the area, you are always welcome to come and join us in worship and participate in our service! We meet every Sunday. Our worship starts at 10am (actually it is more like 10:15am) and we’re usually wrapping up the service by 12:15pm. We are on Eastern Daylight Savings Time just so you know. 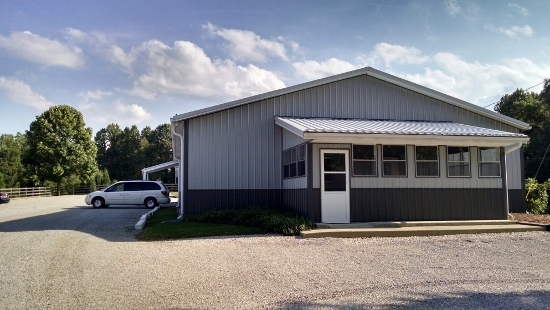 You’ll find our building at 2142 Old River Road, Spencer, IN 47460. This is just about 1/2 mile from State Highway 46 on Old River Road. You can click here for a map to our location. The Canyon Inn (located in McCormick’s Creek State Park) is literally just seconds away from our church. Their number is (877) 922-6966. The Patriot Inn is located in Spencer and their number is (812) 829-0400. More hotels are available in the nearby city of Bloomington, Indiana.